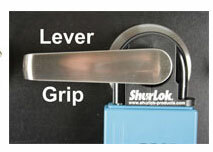 The ShurLok LeverGrip allows the ShurLok or any other lockbox to be secured to lever style doors (whereby without the LeverGrip the lockboxes slip right off. RECOMMENDATION: Always have one LeverGrip handy for flexibility in applications. 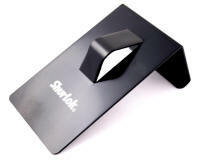 Of course we want you to buy the ShurLok, but if you insist on using the competition, we wont hold it against you. 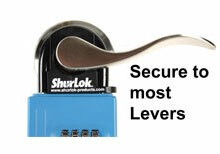 The ShurLok LeverGrip works on all lock box models like Lock Box. Open Shackle 180 degrees and slide over LeverGrip. Best to come from right side. Lockboxes The Over-the-door bracket allows the ShurLok or any other lockbox to be secured over the top edge of any standard exterior or interior door. RECOMMENDATION: Always have one Over-the-door Bracket handy for flexibility in applications. Place bracket over the top of the door . 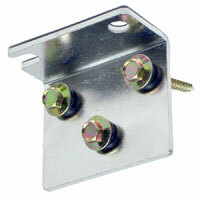 As an option, there is a screw hole at the top of the bracket for a more permanent installation. Place the ShurLok shackle through the loop and lock. Once door is closed, bracket is secured. The ShurLok bracket can be mounted to any vertical surface and is meant for more permanent applications. The bracket offers flexibility by both acting as a permanent mount but yet allowing the ShurLok to be used for more mobile scenarios. 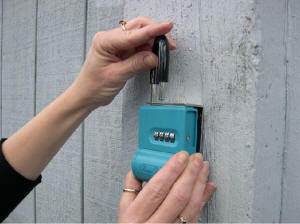 Example: Keep the Shurlok located on a wall towards the rear of your home for lock out situations. If he you have a contractor coming over and want to leave the key accessible to them near the front door you can remove the ShurLok and place it closer to the front door. 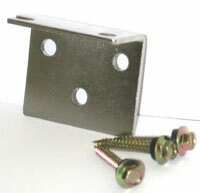 Once the ShurLok is installed into the bracket, the ShurLok itself prevents access to the bolts. 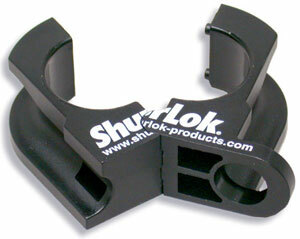 The ShurLok bracket works on all competing mechanical lock boxes. 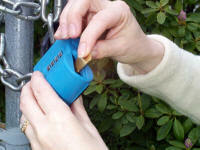 The ShurLok cable is intended for scenarios where the shackle or brackets do not work. Examples would be gates, water meters, etc. The ShurLok cable works on all competing mechanical lock boxes... but why use the competition? 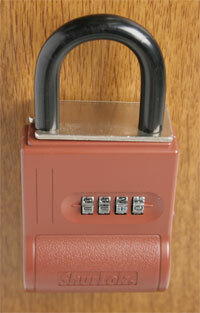 KeyGuard Combination Key Cabinet: Why Use Keys to Manage Keys?